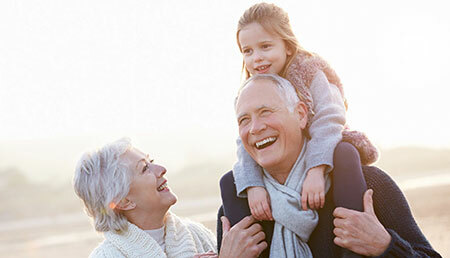 Advanced Directives | Estate & Guardianship Managment Services, Inc.
We are caring professionals and responsible fiduciaries who are dedicated to providing services that enhance the lives of our clients. A Durable Power of Attorney is a legal document executed by an individual (known as the principal), that authorizes another individual (known as agent or attorney in fact), to act on the principal’s behalf during his/her lifetime. Although a Durable Power of Attorney is valid at the time it is executed an agent usually does not begin acting on the principal’s behalf until such time as the principal is unable to act on his/her own. When creating a Durable Power of Attorney a principal can designate the areas of authority they wish to designate to the agent. These areas can include banking and investment transactions, managing or selling real property, making decisions regarding insurance policies, legal claims and litigation, tax matters and applying for government benefits. If an individual becomes incapacitated or unable to manage his/her own legal and financial affairs, and has not created a Durable Power of Attorney, only option may be for an interested person to initiate a guardianship. A Designation of Health Care Surrogate (“DHCS”) is a legal document in which an individual nominates someone to make medical decisions in the event that he/she cannot make those decisions for himself/herself. If an individual is unable to make medical decisions and does not have a DHCS, Florida’s health care proxy law will determine who makes the decisions. Oftentimes, these decisions must be made under emergent and stressful conditions, so it is important that you know who you are relying on in these situations. A Living Will in Florida is a document drafted by an individual that indicates to a health care professional, doctor, or hospital specific instructions for carrying out end-of-life wishes of the individual. A living will is only applicable if an individual is incapacitated to make such decisions for themselves. A living will also only applies in very specific statutorily described situations such as an unconscious individual suffering from a terminal illness for whom a doctor has determined has no meaningful chance of recovering. The living will provides written instructions of your desires for end of life treatment. The professionals at Estate and Guardianship Management Services, Inc. are available to serve as health care surrogates and are willing to make decisions according to your expressed wishes.